BioWare’s General Manager, Casey Hudson, took some time to talk at length about Anthem. In the post, Hudson said it was “awesome to see the team rewarded with cheers and applause from the crowds.” Considering that Anthem‘s development started in 2012, BioWare should be commended for introducing a new IP that so quickly hyped up the gaming industry. This in no way confirms that BioWare is working on a new Dragon Age or Mass Effect, but it does suggest that these franchises won’t become dormant. 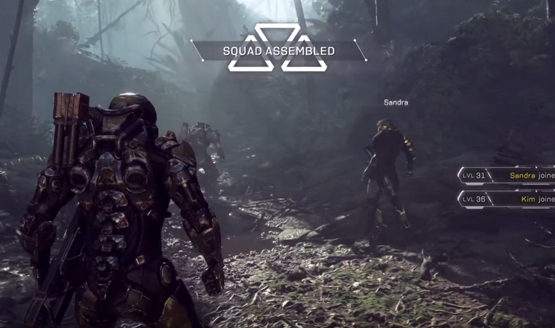 BioWare does have plans to bring them back to the spotlight. It’s just a matter of when. For now, we have Anthem to look forward to. Thankfully, no matter how Anthem performs, we can rest assured that BioWare won’t close after Anthem launches. Anthem will be available on PC, PlayStation 4, and Xbox One on February 22, 2019.